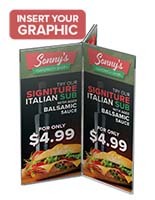 This table sign, also known as an acrylic frame, is a vital advertising tool for any restaurant or casual dining facility. 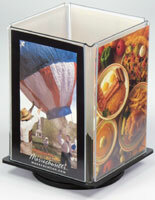 Most eateries like to have some sort of promotional signage on tabletops; these menu card holders provide a neat and simple unit to hold advertisements. 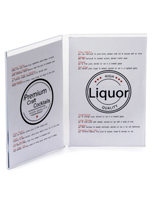 This table sign, such as a bi-fold print holder, accommodates two 5"x7" graphics. 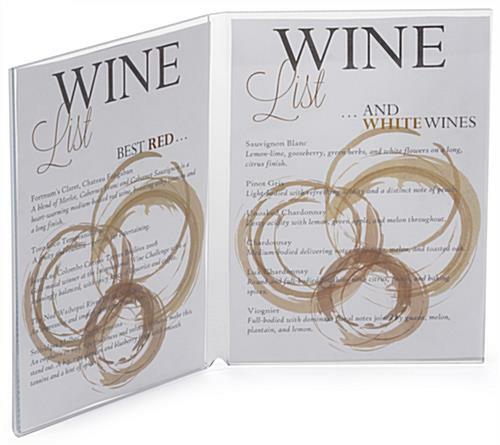 Most restaurants use this display to showcase a dessert menu or wine list. This table sign is also ideal to promote a new food item, or the return of a favorite seasonal beer. 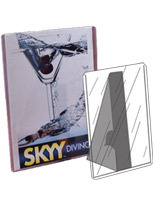 The entire graphics are visible within this clear acrylic frame. Each table sign, menu display, is easy to change prints. The old signage slides out through the sides or bottom, the new graphics are inserted in the same manner. 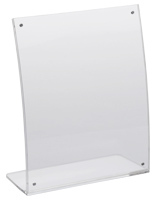 This bi-fold acrylic frame is the ideal table sign for areas that have limited space. 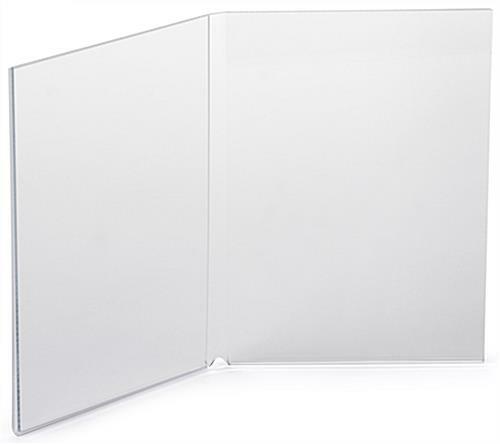 The angled design is suitable for placement against a wall or side of a booth. This table sign can also be used to frame pictures on a desktop in an office or cubicle. 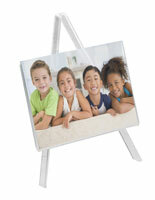 The 5"x7" dimension is a popular size for family portraits. Keep this table sign looking clean and fresh with a damp rag and a paper towel. 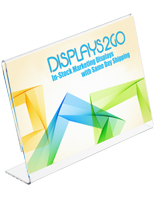 Other sizes and configurations of this acrylic display are offered on this site. Buy this table sign today to take advantage of the discounted sale pricing! Product as as anticipated. Service quick. Good job!